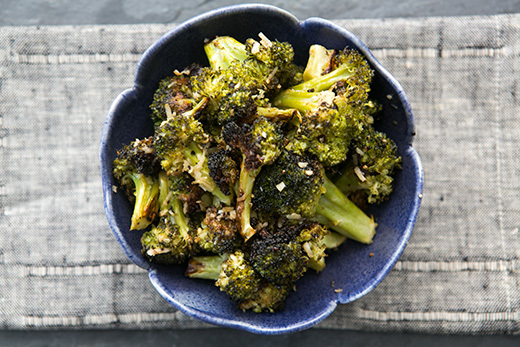 Remove the broccoli from the oven and immediately toss with 1 1/2 tablespoons olive oil, the lemon zest, lemon juice, pine nuts, and basil. (We eat it vegan, but it’s nice with a little fresh grated parmesan sprinkled on top, if you eat cheese.) Serve hot.